This book is published as an output of the Charles University (Faculty of Arts) research programme Progres Q12: Literature and Performativity. This volume has been peer-reviewed by: prof. PhDr. Jiří Holý, DrSc. Mgr. Jiří Hrabal, Ph.D.
“A man should not wander around the world; he returns and then he is apprehensive and disgusted” (K. Čapek Cesty 36). will be described in this work as “becoming European through being Czech,” following the emergence of the First Czechoslovak Republic as an independent country after the disintegration of Austria­‑Hungary in 1918.2 Following this crucial historical moment of the fall of the Austro­ ‑Hungarian Empire, which, in its own right, contributed to the “sudden redrawing of the map of Europe” and the “post­‑imperial character of modernism” (P. Lewis The Cambridge Companion 6), questions of cultural and political identity became popular intellectual topics of the interwar era, just as the new Czechoslovak society was “confronted with the task of defining its own identity as a nation state” (Lass 46). 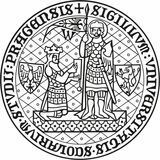 Similar to other newly established countries, The First Republic argued its belonging to Europe by leading “interwar campaigns of cultural diplomacy [which] rested on a discourse of Europe and Europeanness” (Orzoff Battle 9).3 It aspired “to represent to the world, in the best possible light, its science and culture, to integrate it within existing supranational structures and, with their assistance, participate in the creation of new structures” (“Čas optimismu” 5). These attempts included the commemoration of certain historical events (Lass 57), state­‑funded international exhibitions, congresses and publications of different periodicals, whose aim was to promote the new country abroad (“Čas optimismu” 6).4 While Čapek was intellectually invested in promotion, as well as the myth­‑making about the identity of the new country,5 when it comes to travel writing as a literary and artistic articulation of identity and belonging, his travel narratives demonstrate that he did not feel that politically he had anything to prove. Instead of being overtly political in expressing importance of travel, he toyed with its aesthetic concept, drawing heavily on the cosmopolitan poetics of travel of his time. As this book dem2	On the Czech interwar ideas of belonging to Europe see for instance Hroch, Bugge, and Lemmen. On the historical development of the idea of belonging to Europe see Wolff. 3	On the myth of belonging and identity see also Orzoff “Husbandman,” Williams, Macura Sen and Macura Znamení. 4	On early attempts to build Czechoslovak identity after the dissolution of Austria­ ‑Hungary see Paces and Wingfield, Judson and Rozenblit, Orzoff Battle; on the aftermath of the dissolution of the Habsburg Empire see Spector, even though non­‑German speak­ ing cultures were given very brief consideration. In the same volume see also Shore. 5	On Čapek’s intellectual role in promotion and mythologisation of the identity see for instance Orzoff Battle 179−89. 7	On the transnational character of modernism of the period see for instance Huys­ sen and Benson “CE Modernisms.” 8	See for instance Said 71, where he discusses the use of vocabulary in the creation of imagined Orient and Orientalist discourse. On reverberations of Edward Said’s imag­ inative geography see for instance Gregory “Imaginative Geographies” and Frank. various other practices of othering and “different imaginative practices of foreignness” (Chard 9), which are frequently mirrored in travel writing,9 and especially travel writing to and from Central and Eastern Europe. Instead, it was based on, to borrow the formulation from Chloe Chard, “the task of finding the forms of language to translate the topography into discourse” as “a recurrent object of discussion” (9) in which the aim was to find elements unifying Czech and European identity. In order to explore this, he used distinctive ways of addressing his domestic audience, involving them in the active construction of the travel experience. He also sought to find common cultural undercurrents in the artistic heritage and expression of the countries he visited and the way the identity of the places he visited was artistically expressed. As this book demonstrates, Čapek’s travel writing opus should be read in the context of discussions on aesthetic tendencies of the period, which are closely related to the modernist poetic(s) of visual arts and literary genres. While traveling through different countries, Čapek not only observes their respective artistic traditions, but also polemicises with tendencies of visual arts back home. The idea which frequently resonates in this book is that for Čapek, creativity often had to do with his understanding of popular culture, literature and folklore, especially the understanding of the “folkloristic” which he considered beyond the borders of static traditions frozen in the past. This was Čapek’s specific return and response to the articulation of the complex modernist “primitive”10 as a “search for original form and the deep sources of art” (Pečinková “Josef Čapek” 76), one of the quests of the Czech prewar modernism and interwar artistic movements. As this book demonstrates, Čapek’s narrative search for the “primitive” is evident in various forms, predominantly in reference to different visual aspects: in the traveler’s frequent reflections on the essence of art, the use of “natural” colors, and the significance of these colors for the Primitivist poetics of 9	On imaginative geography and travel writing see for instance G. Duncan, Gregory “Scripting,” Tavares and Brosseau, Tavares and Le Bel, Kelley. 10	On modernist constructions of the primitive see Bell; on cultural implications of the notion of “the primitive” in 20th century art see Hiller The Myth of Primitivism. About the overview of the Primitivist tendencies see also a subchapter “Primitivists” 70–79 in P. Lewis “Primitivists”. On visual creations of the primitive see Hodeir and Landau and Kaspin. On primitivism in the Czech context see Winter Palmy, Winter “Fascination”, Winter “Group”, Lahoda, Srp “Tvrdošíjní”, and Srp “The Obstinates”. artists such as Italian Giotto di Bondone or Czech interwar primitivist painter Václav Špála, whose aesthetics will be touched upon in the course of the book, or the simplicity and playfulness of Čapek’s own illustrations, which represent an important semantic part of his travel writing. In his letter to Šrámek, Čapek implies that he longs to return to his own culture and the comfort of his own language, following his travels through England in 1924. He praises Šrámek’s collection of lyrical prose about the Great War, An Astonished Soldier (Žasnoucí voják, 1924), which the writer dedicated to him, as “a truly masculine work, and not some kind of profound impotence” (Cesty 58). Those unfamiliar with Čapek’s work might find his response gender­‑biased; however, this was Čapek’s way of calling for diligence and preciseness when dealing with words, and for understanding the practice of writing as a painstakingly difficult but rewarding work with language, which, in accord with the poetics of the period, should have tested the limits and possibilities of expression. For Čapek, a creative approach to words was exactly equal to the exploration of one’s literary and cultural identity, a perpetual re­‑examination of the literary tradition, and experiments with its conventions. Such tendencies are particularly visible in his treatment of the theme of travel, which, as we shall see, is equally concerned with writing about traveling: Čapek’s famous “how­‑to” approach humorously deconstructs the mechanisms of the production of different genres and human activities, embodied in the titles of some of his works11 his intellectual and artistic understanding of the theme, and the travel practice itself. Throughout Karel Čapek’s diverse output, the theme of travel was a constant source of inspiration for his versatile intellectual and artistic interests. He tackled this theme not only as a writer, but also as a journalist and visual artist who, with practical and aesthetic interests in the visual arts – photography and film – played with the flexibility of the travel writing genre and its “dauntingly heterogeneous character” (Kowaleski 7), frequently crossing narrative and artistic borders.12 11	For instance in his humoristic feuilletons about theatre, newspaper and film pro­ duction collected in How They Do It (Jak se co dělá, 1938; English translation 1945), or A Calendar: How Long Is a Year (Kalendář: Jak je rok dlouhý; posthumously published 1940). 12	On the intergeneric nature of travel writing see also Borm, Raban, Bishop, Holland and Huggan, and Korte English travel writing. On the heterogeneous character of the met­ aphor of journey see Todorov. tion of Apollinaire’s work a transcultural adaptation, a “transduction”13 rather than simply an act of translation. 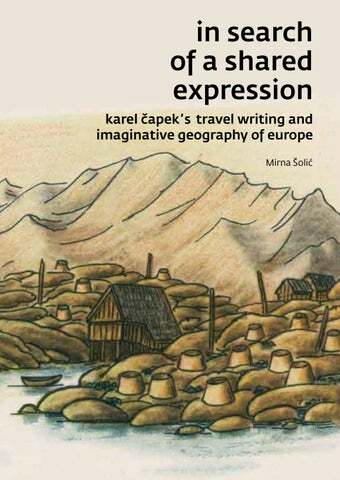 Čapek’s interpretation of “Zone” inaugurates the cosmopolitan theme of travel into the Czech context,14 and at the same time presents a journey into the translator’s own literary heritage in search of semantic solutions, including the articulation of the travel theme, which makes “Zone” a truly Czech cultural and poetic construct. In other words, it was not the work of Apollinaire himself that inaugurated the modern theme of travel in Czech literature, but Čapek’s act of translation. While Chapter One of this work establishes the wider poetic context for consideration of the theme of travel in Čapek’s work within contemporary travel poetics, Chapter Two and Chapter Three examine the experimental nature of Čapek’s travel opus from two different, albeit interconnected and mutually complementary perspectives: the verbal and the visual. Chapter Two investigates how, in contrast to the flourishing industry of travel guides and travel books, Čapek’s twentieth­‑century traveler goes beyond his informative function in order to deconstruct the way in which travel experiences are structured within the story. As the chapter demonstrates, this was possible because, as an influence of the experimental character of modernist prose, and in opposition to the 19th century premise that “[travel] narrative can represent peoples and places with unsurpassed fidelity” (Burton 27) and that a traveler’s task is to “write down, what I saw” (Miňovská­‑Pickettová 372), Čapek turned his narrators into performers, and readers/audience into active collaborators in the construction of travel experience. In the chapter, the investigation of Čapek’s construction of travel experience starts not only chronologically, but also metaphorically with his journey to Italy, traditionally considered the source and the “repository of Europe’s heritage” (Cavaliero 2).15 Travelogues which follow then map a trajectory towards the North, which, in opposition to the traditionally established and my13	Transduction is a term used by Lubomír Doležel in order to define a “transmission from the authorial to the receiving subject” (Occidental 167–68) that not only makes a text a part of a different linguistic environment, but significantly transforms it. 14	On cosmopolitanism and the significance of Apollinaire and French culture, see for instance Kuhlman. 15	On significance of Italy for construction of identity in European travel writing see for instance also Luzzi and Pfister. For more on influence of visual arts on Hemingway’s work see Narbeshuber. Travel Writing and the Articulation of Cultural Identity Čapek wrote in the period when the travel writing genre, as well as the theme and cultural significance of travel, became the center of interest for many European and North American writers. As Tim Youngs argues, “modernism was built on travel, its ideas and aesthetics across cultures” (“Travelling” 267)20 and, similar to Čapek, “many of the best known examples of the genre were constructed by writers equally or better known for their fiction or poetry” (Carr 75). The activity of writing was often inspired by the activity of travel, and the genre of travel writing was suitable for expressing not only the dissolution of political, but also of metaphorical borders, such as “the merging of the internal and external under the influence of Freud; the conflicting views of the relationship between the individual and the state; and the combination of perspectives in avant­ ‑garde visual art” (Youngs “Travelling” 270).21 The travel writing genre was subject to experimental changes visible in other genres and across arts, especially fragmented narration, intermedial experiments and the disputed role of the traveler­‑narrator.22 But even if the writer’s opus was not based on travel, interwar literature developed an experimental approach to representation and the meaning of space and geography, with overlaps of different spaces and time, subversion of geographical coordinates, and links between geography and identity, all typical of the travel writing genre.23 20	For more on the importance of the travel writing and modernism, see Fussell, Hynes, Dodd, on travel writing of the 1930s and a critical approach to Fussell see Sch­ weizer and Hynes. On modernist travel writing see also Smith, Piette, Carr, Burdett and Duncan Cultural Encounters, Korte “Western Travel,” Farley “Modernist Travel,” and Farley Modernist Travel. On generic issues and transformations in modernist travel writing on the example of English travel writing see Burton. 21	However, as Helen Carr notes, in consideration of travel writing, it is important to distinguish between “travelling writers” and “travel writers” (73). 22	On the experimental character of interwar modernist travel writing, see for in­ stance Farley “Modernist Travel” 279–80 and Farley Modernist Travel. On political aspects of travel writing see also Schweizer. See for instance his early work, especially An Insect Play (Ze života hmyzu, 1921). stop on Austria’s southern rail line” in “a black, muddy, sorry province!” (Krleža 276).27 In his short 1931 travel piece “Journey to the West,” which depicts his journey from what was at that time Lithuania through Czechoslovakia and Germany to the Colonial Exhibition in Paris, Miłosz writes that what he imagined as Western European culture represents the absence of what he had witnessed in his own homeland – “bad paving, dust, dirt, straw, and horse manure” – which he found almost immediately behind the borders of Poland – in Czechoslovakia (149). Yet his idealization of European culture seems to fade after visiting the 1931 Colonial Exhibition. What is supposed to be a grandiose cultural experience turns into utter disappointment, especially regarding how the non­‑Western world is represented and treated: That whole exhibit was actually outrageous, as if it had been an exten‑ sion of the Vincennes Zoological Gardens, in which it was held. After one being tired of looking at black, brown, or yellow people in their cages, one went to look at the monkeys, the lions and the giraffes. That, of course, did not bother the organizers of the exposition; perhaps they even chose the place for the very reason that the natives, the wild an‑ imals, and the palms went well together, just as they did on postage stamps (163). Miłosz’ reflections on the erasure of difference between animal and human, as well as the representation of the non­‑Western world in general, evokes certain aspects of Čapek’s perception of the British Museum in Letters from England, which will be discussed in Chapter Three, and his adaptation of the theme of travel in his novel War With the Newts, to be discussed in Chapter Four. Čapek approaches this topic from an aesthetic rather than a purely political perspective, often subtly combining the two of them, without establishing the difference between “them” and “us.” Moreover, he parodically refers to this difference as an adaptation of traditional conventions of the travel and exploration genre. For more on Krleža and Croatian modernist travel writing see Duda.